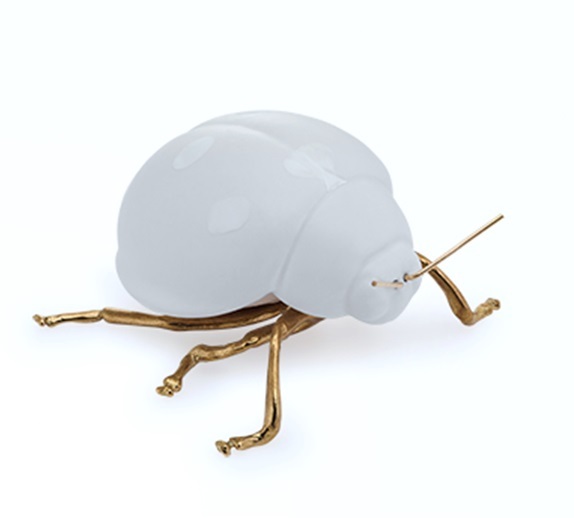 The Ladybug is a beautiful statue! From the designers Rosa and Vieira. Beautiful glossy glazed and made according to the tradition of using the manual technique of dipping and painting on glass. 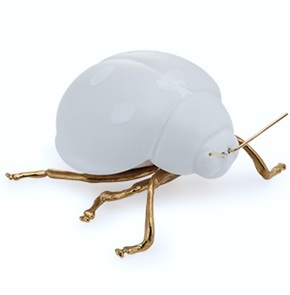 The legs are cast in natural gold-colored brass. Made entirely by hand according to the process of pouring in a sand press pot. Size: 16 x 14,5 x 16 h. cm. Deliverytime: ships in approxm. 1 a 3 business days.